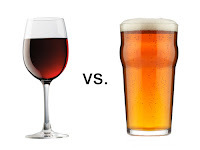 Wine vs Beer dinner at the Petrol Station on March 29th. $70 per person and only 30 tickets are available starting tomorrow. More information about the menu and the event will be released soon. The Petrol Station still had a few tickets left for the dinner at the time of this update. The main course is pork belly. Check their Facebook page for more information and how to contact them for tickets. Is this event sold out? Where can I find more information about it? According to their Facebook page, they still have a few tickets left for it.